Oakwood Skate Deck is located in the heart of Oakwood, OK. We have hardwood floors and can accommodate all ages and skill levels of skating. The facility can be booked for private parties and gatherings. WHAT’S LOCOMO Our mission statement at The Locomo is to provide a safe, friendly, family fun center atmosphere which will offer a healthy alternative in both exercise and food choices we will encourage all ages to engage in our activities and get involved in a skating culture that will create exciting memories for a lifetime. The Locomo is a newly renovated building with state of the art lighting and sound. We feature a beautiful, wood maple floor that is 11,000 square feet. In addition, we feature light up roller skates in a variety of sizes, a full size arcade and redemption shop. Our family has over nineteen years of business experience in the community in which we have established a positive and successful relationship with many of the local schools, businesses, and government officials here in Hernando County. We look forward to seeing a lot of laughter and smiles for all who visit The Locomo. Sunday 1:00 – 4:30 pm – Open Skate Basic & Glow Birthday Parties Available $5.50 Admission Not Including Skates Monday 6:00 – 8:30 pm – Open Skate -Christian Skate(1st Mon of every month) $5.50 Admission Not Including Skates Tuesday 6:00 – 8:30 pm – School Parties $4.00 including regular skates Wednesday 6:00-8:30 pm School Parties $4.00 including regular skates Thursday 6:00 – 8:30 pm – School Parties $4.00 including regular skates Friday 6:00-10:00pm-Family skating $6.50 not including regular skates 9:00 pm-12:00 am – Teen Dancing (Ages 13-17) $7.00 Admission Dancing only Both Sessions for ages 13-17 (Skate & Dance) $11.50 Saturday 1:00 – 4:30 pm – Open Skates,Basic & Glow Birthday Parties Available $5.50 Admission Not Including Skate 7:00 – 10:00 pm – Family Skating,Basic & Glow Birthday Parties Available $5.50 Admission Not Including Skates Saturday nights are Old School Skate Listen to top 40’s, 70’s & 80’s music from 7-10 pm only $7.50 includes regular skates. $1 upgrade for speed or inline. Skate Rental Price Regular $2.00 – Speed & In-Line $3.00 – Skate Trainer $5 and you receive $2.00 back when you return it. ALL NIGHT SKATES ARE HELD ONCE A MONTH. CHECK FACEBOOK FOR UPCOMING DATES. We have a full arcade for all ages including a unique redemption where guests can redeem their tickets. Glow in the dark skates, Speed Inline, Skate bags, Laces, Regular Skates, Adjustable Skates.. we have them all! Place an order for the Holidays at The Locomo. See Chris for details! Formerly Universal Skate Center, Astro Skate and Family Fun Center is dedicated to providing safe, clean fun for the entire family in and around the Orlando area. 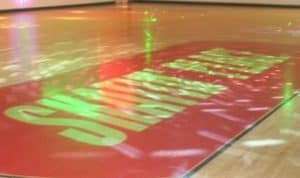 We offer a variety of skating and non skating activites such as a bounce house, dance room, and video games. Public Skating Roller skating sessions for All Ages are one of the main attractions at Astro Skating Center of Orlando. Skating provides great exercise and an opportunity to get out of the house – plus, it is not like exercising at the gym… skating is fun! Lace-em up and come join the others. Get on the floor and get ready for a great experience. Remember to tell the folks at Astro Skating Center of Orlando that you saw them on RinkTime when you are paying admission at the box-office. And remind them to update their schedule on this site. Roller Skating Lessons. If so, the folks here love to teach and their instructors are top notch. For beginners they usually focus on providing the basics. For more advanced skaters they focus on proper form, technique and getting you ready to meet your goals. Call Astro Skating Center of Orlando at 407-282-3140 for more details. Speed Skating Some say going round in circles is boring – others feel the thrill of flying around on the floor at twenty to over miles per hour and find it exhilarating. Speed Skating is fast, requires strength, skill, talent and concentration. Astro Skating Center of Orlando provides speed skating for facilities with very fast ice. Birthday Party or Event Planning? Why not have your party or event at Astro Skating Center of Orlando? They can make their rink and other facilities available to you for birthday parties, holiday parties or corporate events. Their prices are great. They would love to have you out. Give them a call if you would like to schedule your event now at 407-282-3140. Please call at least one week in advance to properly schedule your event. Snack Bar Got the munchies? Astro Skating Center of Orlando provides food and beverages in the snack bar. Visit our Pro Shop If your are looking for new roller skating equipment or services, Astro Skating Center of Orlando can help. The Astro Skating Center of Orlando pro shop offers a wide array of products and services. Stop by for a visit next time you are at the rink or contact them now at 407-282-3140 to see if they have what you are looking for. 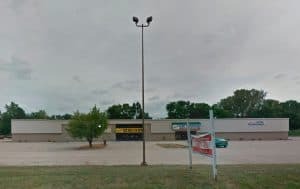 One of the best roller skating rinks in Logansport, IN, Logansport Skate World & Fun Center Roller Skating Rink is a 1 floor indoor roller skating rink is open year round. It was founded in 2008. Public Skating Roller skating sessions for All Ages are one of the main attractions at Logansport Skate World & Fun Center. Skating provides great exercise and an opportunity to get out of the house – plus, it is not like exercising at the gym… skating is fun! Lace-em up and come join the others. Get on the floor and get ready for a great experience. Remember to tell the folks at Logansport Skate World & Fun Center that you saw them on RinkTime when you are paying admission at the box-office. And remind them to update their schedule on this site. Speed Skating Some say going round in circles is boring – others feel the thrill of flying around on the floor at twenty to over miles per hour and find it exhilarating. Speed Skating is fast, requires strength, skill, talent and concentration. Logansport Skate World & Fun Center provides speed skating for facilities with very fast ice. Birthday Party or Event Planning? Why not have your party or event at Logansport Skate World & Fun Center? They can make their rink and other facilities available to you for birthday parties, holiday parties or corporate events. Their prices are great. They would love to have you out. Give them a call if you would like to schedule your event now at 574-753-3131. Please call at least one week in advance to properly schedule your event. Snack Bar Got the munchies? 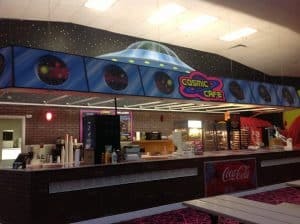 Logansport Skate World & Fun Center provides food and beverages in the snack bar. One of the best roller skating rinks in Cincinnati, OH, The Skatin’ Place Roller Skating Rink is a 1 floor indoor roller skating rink is open year round. It was founded in 1929. Public Skating Roller skating sessions for All Ages are one of the main attractions at The Skatin’ Place. Skating provides great exercise and an opportunity to get out of the house – plus, it is not like exercising at the gym… skating is fun! Lace-em up and come join the others. Get on the floor and get ready for a great experience. If you do not see the rinks public roller skating schedule posted, be sure to contact them at (513) 522-2424 for their public session times. And please tell them that you saw them on RinkTime. And remind them to keep their schedule updated on the site. Roller Skating Lessons. If so, the folks here love to teach and their instructors are top notch. For beginners they usually focus on providing the basics. For more advanced skaters they focus on proper form, technique and getting you ready to meet your goals. Call The Skatin’ Place at (513) 522-2424 for more details. Birthday Party or Event Planning? 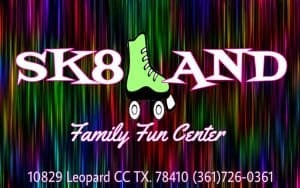 Why not have your party or event at The Skatin’ Place? They can make their rink and other facilities available to you for birthday parties, holiday parties or corporate events. Their prices are great. They would love to have you out. Give them a call if you would like to schedule your event now at (513) 522-2424. Please call at least one week in advance to properly schedule your event. Snack Bar Got the munchies? The Skatin’ Place provides food and beverages in the snack bar. Amanda Roller Skating Rink is a 1 floor indoor roller skating rink that is open year round. Roller skating sessions for All Ages are available at Amanda . 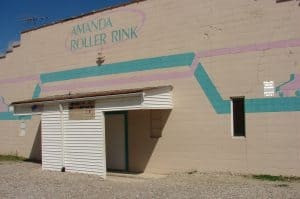 One of the best roller skating rinks in Amanda, OH, Amanda Roller Skating Rink is a 1 floor indoor roller skating rink is open year round. Public Skating Roller skating sessions for All Ages are one of the main attractions at Amanda . Skating provides great exercise and an opportunity to get out of the house – plus, it is not like exercising at the gym… skating is fun! Lace-em up and come join the others. Get on the floor and get ready for a great experience. If you do not see the rinks public roller skating schedule posted, be sure to contact them at (740) 969-4131 for their public session times. And please tell them that you saw them on RinkTime. And remind them to keep their schedule updated on the site. One of the best ice and roller skating rinks in Elmhurst, IL, YMCA Ice and Roller Skating Rink is a 1.sheet ice and 1 floor outdoor facility is open seasonally. It was founded in 1984. Public Skating Public ice and roller skating sessions for all ages are one of the main attractions at YMCA. Ice and Roller Skating both provide great exercise and an opportunity to get out of the house – plus, it is not like exercising at the gym… skating is fun! Lace-em up and come join the others. Get on the ice or floor and get ready for a great experience. If you do not see the rinks public session schedule posted, be sure to contact them at (630) 834-9200 for their public session times. And please tell them that you saw them on RinkTime. And remind them to keep their schedule updated on the site. Figure & Ice Skating Lessons. Are you an adult looking to learn to ice skate? Do you have children yearning to ice skate like the pros? If so, the folks here love to teach and their instructors are top notch. For beginners they usually focus on providing the basics. For more advanced skaters they focus on proper form, technique and getting you ready to meet your goals. Call YMCA at (630) 834-9200 for more details. Roller Skating Lessons. Are you an adult looking to learn to roller skate? Do you have children yearning to learn to roller skate like their friends? If so, the folks here love to teach and their instructors are top notch. For beginners they usually focus on providing the basics. For more advanced skaters they focus on proper form, technique and getting you ready to meet your goals. Call YMCA at (630) 834-9200 for more details. Ice Hockey Leagues YMCA Ice and Roller Skating Rink offers ice hockey leagues for all ages. Whether you are a beginning skater looking to play on a team in an instructional league or an experienced ice hockey player looking to get out and play with others of a similar caliber, YMCA Ice and Roller Skating Rink is the place to play. Give them a call at (630) 834-9200 to inquire about their leagues now. The experienced group will help get you ready for your next game Leagues and levels include: Adult,Youth. Ice Hockey Tournaments What better way to see how you and your team stacks up than to play against teams outside your normal leagues? YMCA Ice and Roller Skating Rink hosts ice hockey tournaments forall ages.at their facilities. Call YMCA at (630) 834-9200 for more details and to look into upcoming tournaments. Ice Hockey Camps and Clinics With the exception of private lessons, the best way to increase your hockey skills is to do drills and exercises that build on the fundamentals. Even better is to do those drills while supervised by someone who understands how to do things properly and can correct you when you are doing them wrong. When playing, everyone feels like they are NHL ready, but very few really look or play that way. YMCA Ice and Roller Skating Rink offers camps and clinics for youths.to help you improve your game. Call YMCA at (630) 834-9200 to learn when their next ice hockey camp or clinic is being held. Roller Hockey Camps and Clinics With the exception of private lessons, the best way to increase your roller hockey skills is to do drills and exercises that build on the fundamentals. Even better is to do those drills while supervised by someone who understands how to do things properly and can correct you when you are doing them wrong. When playing, everyone feels like they are ready for the pros, but very few really look or play that way. YMCA Ice and Roller Skating Rink offers camps and clinics for youths.to help you improve your game. Call YMCA at (630) 834-9200 to learn when their next roller hockey camp or clinic is being held. Birthday Party or Event Planning? Why not have your party or event at YMCA? They can make their rink and other facilities available to you for birthday parties, holiday parties or corporate events. Their prices are great. They would love to have you out. Give them a call if you would like to schedule your event now at (630) 834-9200. Please call at least one week in advance to properly schedule your event. Snack Bar Got the munchies? YMCA provides food and beverages in the snack bar. One of the best ice and roller skating rinks in Alpharetta, GA, The Cooler Ice and Roller Skating Rink is a 1.sheet ice and 1 floor indoor facility is open year round. Public Skating Public ice and roller skating sessions for all ages are one of the main attractions at The Cooler. Ice and Roller Skating both provide great exercise and an opportunity to get out of the house – plus, it is not like exercising at the gym… skating is fun! Lace-em up and come join the others. Get on the ice or floor and get ready for a great experience. If you do not see the rinks public session schedule posted, be sure to contact them at (770) 649-6600 for their public session times. And please tell them that you saw them on RinkTime. And remind them to keep their schedule updated on the site. Figure & Ice Skating Lessons. Are you an adult looking to learn to ice skate? Do you have children yearning to ice skate like the pros? If so, the folks here love to teach and their instructors are top notch. For beginners they usually focus on providing the basics. For more advanced skaters they focus on proper form, technique and getting you ready to meet your goals. Call The Cooler at (770) 649-6600 for more details. Roller Skating Lessons. Are you an adult looking to learn to roller skate? Do you have children yearning to learn to roller skate like their friends? If so, the folks here love to teach and their instructors are top notch. For beginners they usually focus on providing the basics. For more advanced skaters they focus on proper form, technique and getting you ready to meet your goals. Call The Cooler at (770) 649-6600 for more details. Ice Hockey Leagues The Cooler Ice and Roller Skating Rink offers ice hockey leagues for all ages. Whether you are a beginning skater looking to play on a team in an instructional league or an experienced ice hockey player looking to get out and play with others of a similar caliber, The Cooler Ice and Roller Skating Rink is the place to play. Give them a call at (770) 649-6600 to inquire about their leagues now. The experienced group will help get you ready for your next game Leagues and levels include: Adult,Youth. Ice Hockey Tournaments What better way to see how you and your team stacks up than to play against teams outside your normal leagues? The Cooler Ice and Roller Skating Rink hosts ice hockey tournaments forall ages.at their facilities. Call The Cooler at (770) 649-6600 for more details and to look into upcoming tournaments. Roller Hockey Leagues The Cooler Ice and Roller Skating Rink offers roller hockey leagues for all ages. Whether you are a beginning skater looking to play on a team in an instructional league or an experienced roller hockey player looking to get out and play with others of a similar caliber, The Cooler Ice and Roller Skating Rink is the place to play. Give them a call at (770) 649-6600 to inquire about their leagues now. The experienced group will help get you ready for your next game Leagues and levels include: Adult,Youth. Roller Hockey Tournaments What better way to see how you and your team stacks up than to play against teams outside your normal leagues? The Cooler Ice and Roller Skating Rink hosts roller hockey tournaments foryouths.at their facilities. Call The Cooler at (770) 649-6600 for more details and to look into upcoming tournaments. Birthday Party or Event Planning? Why not have your party or event at The Cooler? They can make their rink and other facilities available to you for birthday parties, holiday parties or corporate events. Their prices are great. They would love to have you out. Give them a call if you would like to schedule your event now at (770) 649-6600. Please call at least one week in advance to properly schedule your event. Snack Bar Got the munchies? The Cooler provides food and beverages in the snack bar. Visit our Pro Shop If your are looking for new ice hockey, figure and other skating equipment or services, The Cooler can help. The The Cooler pro shop offers a wide array of products and services. Stop by for a visit next time you are at the rink or contact them now at (770) 649-6600 to see if they have what you are looking for. Visit our Pro Shop If your are looking for new roller skating equipment or services, The Cooler can help. The The Cooler pro shop offers a wide array of products and services. Stop by for a visit next time you are at the rink or contact them now at (770) 649-6600 to see if they have what you are looking for.